Lina Popper passed away on August 15, 2017 in her Manhattan home at age 100. She was the wife of the eminent physician Dr. Hans Popper, the pathologist who is credited with originating modern liver research and who was a founder and the first academic dean of Mount Sinai Hospital's Medical School, now the Icahn School of Medicine at Mount Sinai. Long revered in the medical community, Lina traveled with her husband to medical meetings all over the world and was a constant and respected presence in the research community long after his 1988 death. She was born in Vienna, Austria to Paul Billig and Rosa Dym Billig on July 4, 1917. She fled the Nazis in 1938 for Chicago. There she met and married Hans, a fellow Viennese immigrant. She was President of the local PTA every year their children were in school in Chicago. They moved in 1957 to New York City, where she lived the rest of her life. She was an early volunteer at the Transplant Living Center at Mount Sinai. Her love of the arts made her a strong supporter and patron of New York's cultural offerings, including opera, classical music, art, education, environmental issues, and Jewish activities. Her day was never complete until she had attended a cultural event with a friend, and she finished The New York Times crossword puzzles every day in pen well into her 90's. 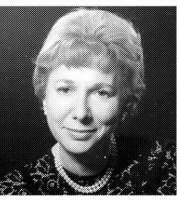 Her loving family survives: sons Frank, a Rutgers University and Princeton University professor of city planning, and Charles, a psychiatrist at McLean Hospital and Harvard University Medical School; daughter-in-law and partner Deborah Popper and Leland Perry; grandchildren Joanna and Nicholas, married to Amy Haley; and great- grandchildren Hazel and Celia. The family would appreciate donations to the Visiting Doctors Program at Mount Sinai, a valuable service that provided medical care for Lina at home in the final years.